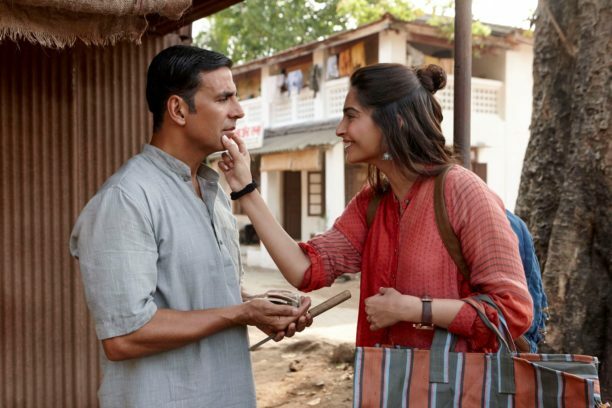 Directed by the great R Balki and starring Akshay Kumar, Sonam Kapoor and Radhika Apte, Pad Man releases in theaters on Friday, February 9th. The story of the film is a fictionalized account of Padmashri Arunachalam Muruganatham, the man who revolutionized the manufacture of the low cost sanitary napkin in India. We have a very cool interview with star Akshay Kumar but first let’s set the stage for the film. The story follows Lakshmi as a newly married, humble welder from a rural village in the heart of India. Lakshmi’s incredible journey starts when he is shocked to discover that his wife uses an unhygienic cloth during her periods. Unable to afford a branded pad, he decides to make a sanitary pad himself. After several attempts, his irate wife refuses to be a part of his experiments. Lakshmi’s love and concern for his wife, his determination to make the pad, leads him into situations that cause so much shock and embarrassment that it compels his wife to leave him and his village to banish him. Lakshmi doesn’t give up. His simplicity of thought, his resilience, his focus and his complete disregard for convention finally leads him to his destiny. A machine that can make a pad! The revolution that follows…from spreading menstrual hygiene, to empowering women, to starting mini cooperatives, to a vision of making India a 100% Pad using country, to accolades, to international glory and to a final resolution of his personal life, makes the rest of the feature “PAD MAN”. His journey to make India a 100% pad using country goes on…even today. Check out what Akshay Kumar told us in this amazing interview as he gives us insight into the character, the making of the film and what this movie and story means to him and to the world. What were your first thoughts when you heard the story of Arunachalam Muruganantham? It was a story that I think most who hear about the film would agree was both incredibly intriguing yet shocking. I hadn’t been aware of Arunachalam Muruganatham and his efforts before I started working on this film. The most appalling part was the data behind the issues and taboos relating to menstrual hygiene. It’s unbelievable that over 20% of girls drop out of school due to their periods and that only 12% of women in India have access to sanitary pads. Not just in India but 1 in 10 girls in the UK live in period poverty. I have been naïve to the kind of struggles that women in our country have had to go through. It’s sad to discover that the women in our lives – wives, daughters, mothers and sisters have been made to feel inferior because of an essential biological process. I’ve learnt more from making this film than I have ever known even after being surrounded by women my whole life. 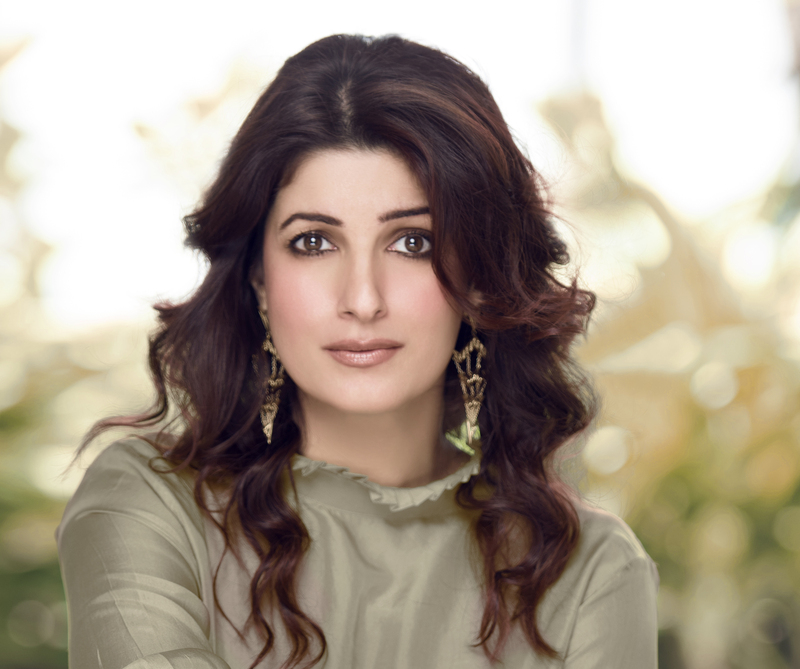 This was developed by your wife, Twinkle Khanna, what does her passion for the project and this story mean to you and to India? Seeing Twinkle’s passion for this project has encouraged me to be even more determined to give the film my best because it has been her passion project. From the very beginning she’s been totally involved in all aspects. Twinkle definitely inspired me to be a part of something like this, through making me aware of Arunachalam’s story as well as the issues around menstruation which I sadly had no awareness of. It’s the first time that we’ve taken a journey like this together, and making this project something that she could be proud of was incredibly important to me. She’s definitely one of the most independent women I’ve ever known, living for her morals and standing up for what’s right. Nothing can stand in her way! Tell us about working with director R Balki and co-stars Sonam Kapoor and Radhike Apte. Director R Balki is a genius. He knows how to build a strong bond and connection between the actor and the character. I think part of why he gets such a positive response from the audience is because they, just like the actor, become immersed in the world of the film. The characters stay with you for days! Sonam was perfect for the film. She plays a character who helps to inspire Pad Man and bring his voice to the world, acting like his ‘wings’ in a way. She embodies that character, and brought new energy to the film like a real beacon of change. Radhika is able to exude so much confidence on screen. She is certainly one of the most authentic actresses I have ever worked with, and I have no shame in admitting that we both learnt a lot from each other! Is it a challenge to play a real life person and also more of a real person not a character? You hit the nail on the head there – this is a story of a real life superhero who selflessly wanted to change the status quo to bring dignity to thousands of lives of women in India including his wife and to tackle one of the biggest taboos in the world, that relating to periods. He was so selfless and fearless in his mission and had an unfettered drive for change and innovation to the extent that he was ostracised from society and even lost his wife in the process!! But he kept on going as deep down he knew the little triggers would help him to create much bigger and impactful shockwaves. As far as playing his character well goes I guess I feel like a real life person anyway as I also came from a humble background so that helped me to get into the shoes of my character. The music by Amit Trivedi is fabulous, what are your thoughts about Mr Trivedi as a composer and the songs for the film? I feel his music is so fitting to any script he has directed music for especially in Pad Man. The music just flows and the lyrics just resonate. Every track is so befitting to the narrative. One of the most interesting things I think, is that you are telling this important story but also in an entertaining way, what went into that decision? I think a lot of it has to do with the fact that the audience is evolving – people and in particular the young people out there, are making their voices heard, and are becoming more aware and socially conscious. I also think that’s why the stories of many changemakers and forgotten heroes are being brought to life on the big screen. People are ready to be involved in films that do more than just entertain, they want films with something to make them sit up & be inspired. We’ve reached a point in our society where ordinary people want to have more control over creating a better future and a better India for themselves. I certainly feel this we will see this continue as we are only just beginning to see the potential these stories have not only to entertain audiences but inspire millions. It is being recognized the world over as an important film even before release, what does that mean to you? A great deal – I’m really hoping Pad Man is a conversation starter that will help to break long-held taboos and tackle the stigma around menstruation. We are aiming to get the film’s message out to as many people and places around the world as possible, especially in the places where this message is needed. This film is about educating and creating awareness, to encourage people to speak openly about these topics and the issues facing women. After all – if nothing changes, how will anything change? We always are excited and honored to interview Mr. Kumar and once again he has given us wonderful answers about this important film. Thank you Mr. Akshay Kumar. Pad Man releases on Friday February 9th!